Black Pink Floyd crewneck sweatshirt with "Endless River" album cover logo. Great sweatshirt excellent graphics shirt is very warm arrived promptly. This would make a great T-shirt as well. 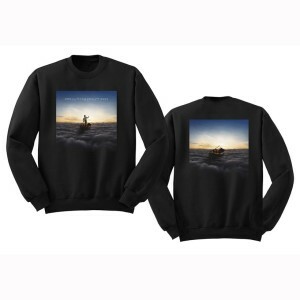 My first order was the "Endless River" CD and the music is awesome. Typical Pink Floyd style. It did not disappoint. Looking forward to shopping some more!